I am happy to introduce you to Luxe Beauty Microfiber Hair Towel. It is the softest towel that I've ever owned. *A $15.97 value. What I love is that it doesn't take up a lot of room. It's thin, yet effective. 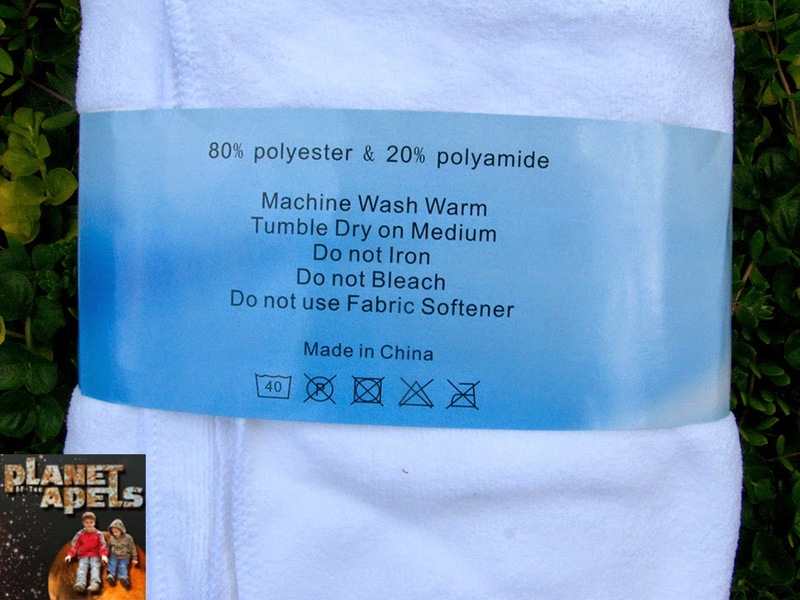 It's 80% polyester and 20% polyamide. 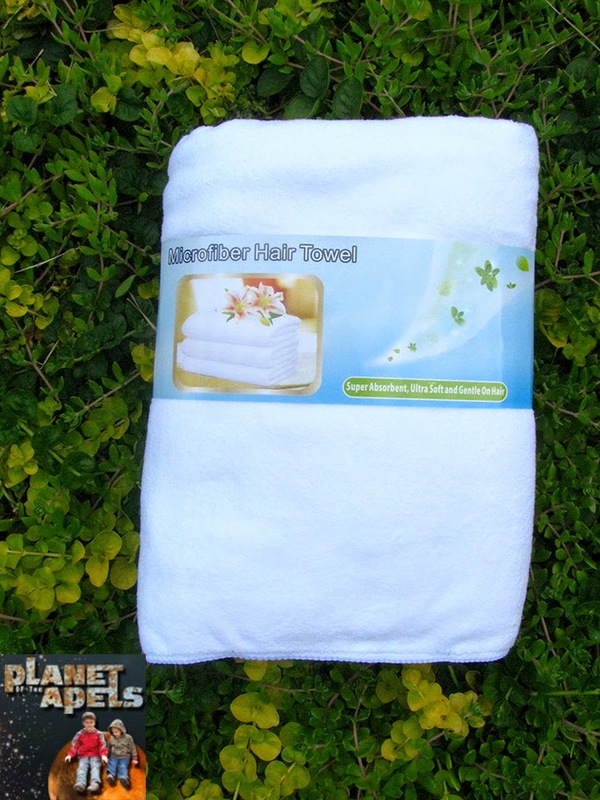 It is made from double sided brushed terry microfiber is extremely soft, gentle on hair and super absorbent. It's so easy to take care of. It's machine washed on warm. Then tumble dry on medium. No bleach, or fabric softener is needed. It washed up for us great. I actually measured it to see if it would shrink. It stayed 19"x39". We make the boys take a shower after swimming, and after ju-jutsu. Both of those times are hectic. We rush home to begin our bedtime ritual. Often times I blow dry Isaak and Mica's hair quick before they go to bed. I don't know about you, but I hate sleeping on wet hair. I wanted to see if I used this towel if I'd need to blow dry their hair at all. I didn't. 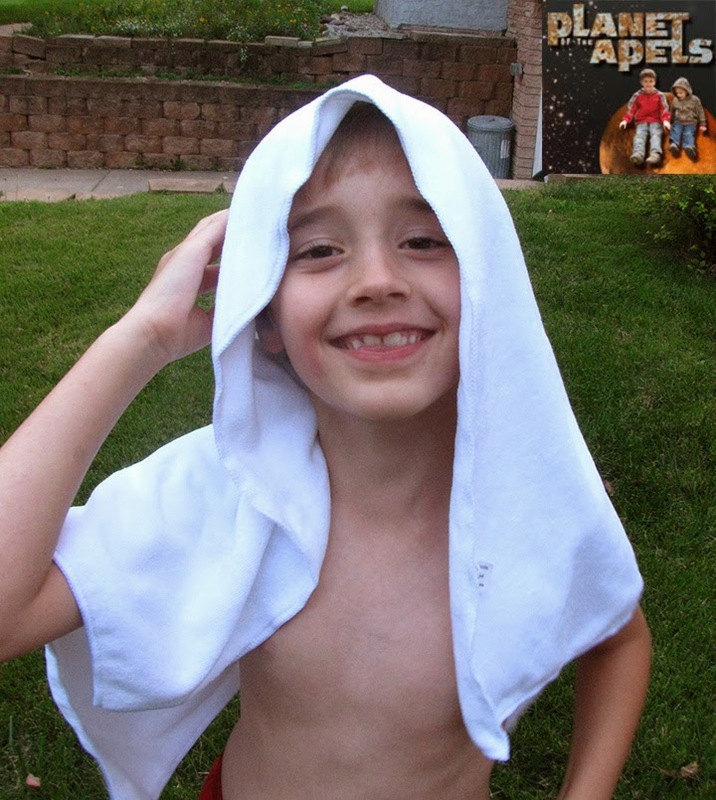 Isaak was super pleased with how soft the towel is. My only problem with taking pictures of him was that he kept saying, "Mom I have long hair. I'm a girl." He kept giggling, and was being silly. 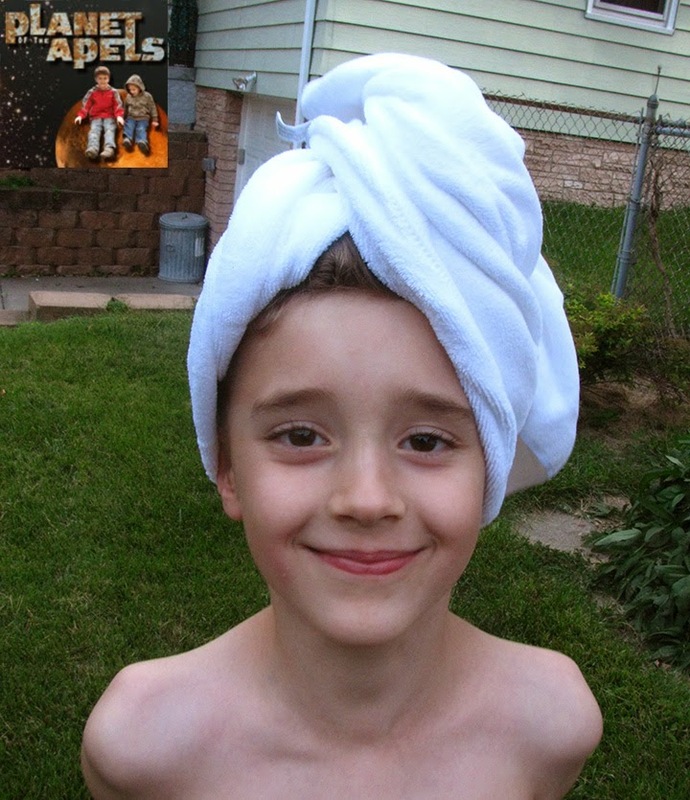 The towel even stayed up in his hair nice. I'm pleased with the softness, and how quickly it dries. I do wish that it came in a variety of colors. 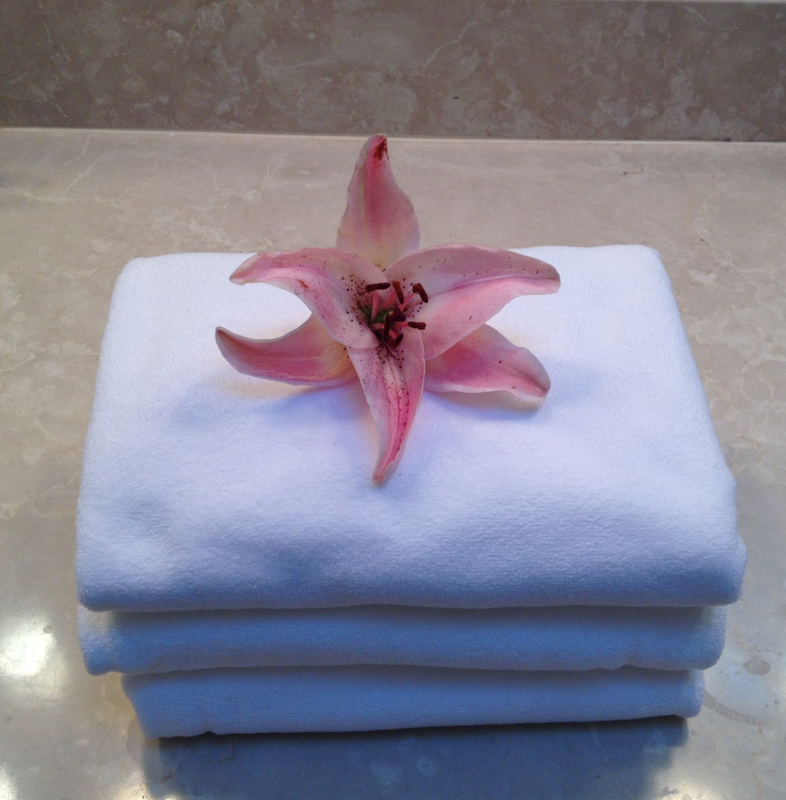 I'm more of a fan for bigger towels; it is a nice travel towel size. It's a great size for my kiddos! I have a similar towel that I use every time I wash my hair. Mine is not very soft though. I should look into getting this one from Luxe Beauty! That would definitley be perfect for traveling. Especially if it dries that quickly! I think that would be great to take to have them use after going to a pool party or something. I would love it if it helps get the water out of my hair better than most towels. I like when towels are super soft too. We have a couple of bamboos that are nice and soft. I'd try this towel.